On the Mac, iCloud integration has been limited. OS X Lion was finished before iCloud arrived, which prevent Apple from deeply integrating the two. But Mountain Lion and the forthcoming iOS 6 (due this fall) make much better use of iCloud and—most impressively for users of both Macs and iOS devices—use iCloud to work together. Notification Center displays bubbles (left) and slides open to reveal a whole collection of notifications. Sometimes your Mac needs to get your attention. 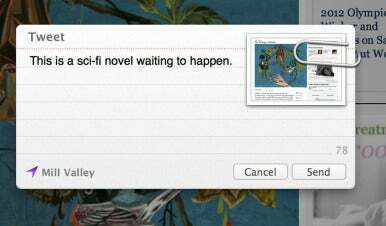 For years, many Mac app developers have built their own—think of meeting reminder pop-ups in iCal or Microsoft Office, for example. For years, the open-source project Growl has attempted to create a more general notification system, and it’s supported by lots of apps. 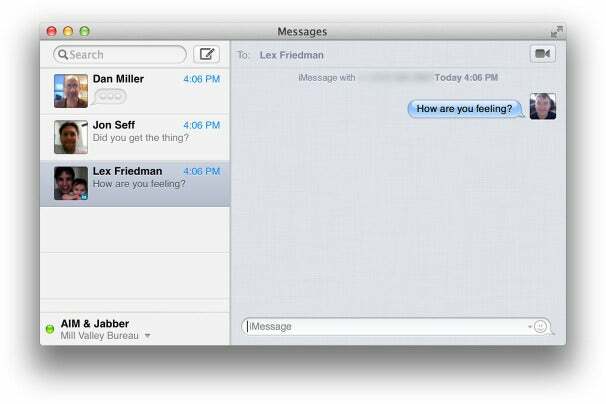 With Mountain Lion, OS X gains a system-level notification system accessible to every developer, with features much like those already found in iOS. Alerts appear in the top right corner of the screen in a small bubble. Notifications remain there for five seconds, and then slide off screen to the right (unless you swipe them away first, or click on them to open the relevant app). Alerts, on the other hand, remain on-screen until you click on the Show or Close (or in the case of some alerts, Snooze) buttons. In iOS 5, you see all your recent notifications by pulling down from the top of the screen to reveal Notification Center. 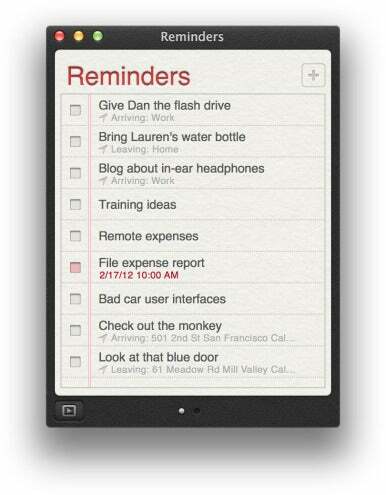 In Mountain Lion, the Notification Center list is a narrow band that lives just to off the right side of your screen. You can reveal it either by clicking on the new Notification Center icon at the far right of the menu bar, or by swiping with two fingers starting at the far right edge of the trackpad. Either way, your entire Mac interface will slide to the left, revealing a list of what’s been trying to get your attention recently. Not all notifications come from apps, either: Because Mountain Lion includes integrated support for Twitter and (coming this fall) Facebook, Notification Center can display notifications from either service—direct messages and/or mentions on Twitter, and a whole host of optional items (events, application requests, nearby friends, friend requests, comments, wall posts, messages, photo tags, friend confirmations, and place tags) on Facebook. Apple has even built quick sharing links into the very top of the Notification Center list, so you can click to quickly write a tweet or Facebook status post. There’s also a new Notifications pane in the System Preferences app, analogous to the Notifications submenu in iOS’s Settings app. From here, you can choose which apps appear within Notification Center and how their alert bubbles behave. Notifications are good when you want to see them, but they can also get in your way, depending on context. Apple has made some smart decisions in order to let you squelch notifications when they’re not appropriate. If you scroll up in the Notification Center list, a new option is revealed: Show Alerts and Banners. If you flip the switch to Off, notifications are muted—but only until tomorrow. Apple assumes that you just don’t want to be bugged right now, but doesn’t want you to miss out on important notifications in the future. Another clever feature is Notification Center’s auto-sensing when a Mac is connected to an external display. I use a second display at my desk, and Notification Center has no problem displaying alerts there. But if I hook up my MacBook to an HDTV or a projector, the alerts will be suppressed. Mountain Lion actually looks for clues that the external display you’ve hooked up to is a TV or projector, and if it is, it won’t show any notifications. Because the last thing you want is for a message from one of your friends on Twitter to float over a slide in an important presentation you’re giving. 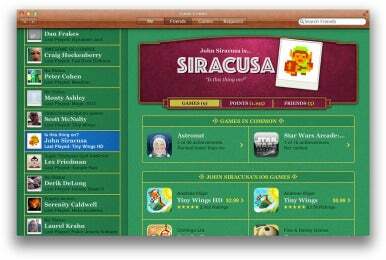 Ever since Apple introduced the Mac App Store, many people have speculated that it was only a matter of time until the Mac, like iOS, could only run software sold directly via the store. I never really thought that was a serious possibility, and Mountain Lion seems to clinch it. The new Gatekeeper feature, found in Mountain Lion’s Security & Privacy preference pane, adds an intermediate level of protection between fully-approved App Store apps and random files downloaded from unknown sources over the Internet. It’s Apple’s attempt to bring more iOS-style security to Mac users even if the apps they use are not from the App Store, and it’s a great move. 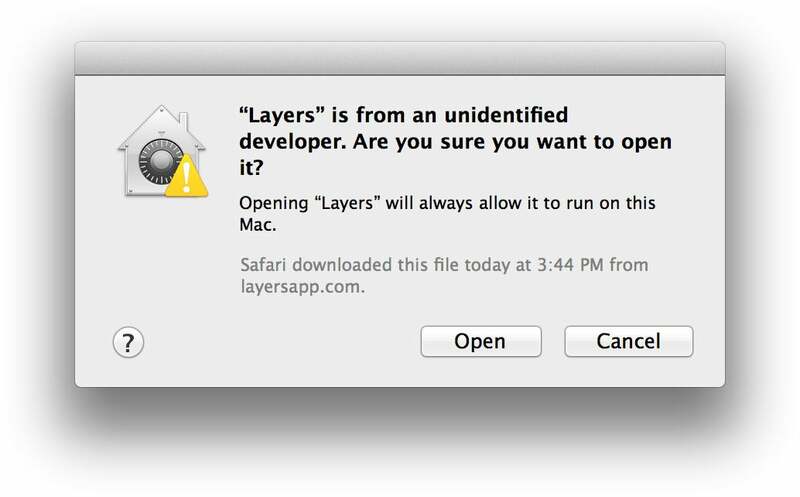 By default, Mountain Lion will prevent you from launching unsigned apps. 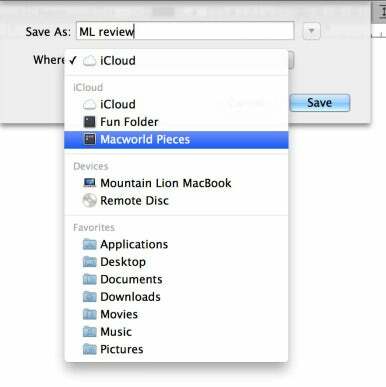 By default, Mountain Lion will launch newly-downloaded apps from the Mac App Store as well as any apps written by “identified developers” without complaint. Identified developers are members of Apple’s Mac developer program who have obtained a certificate linked to their identity, which they use to cryptographically sign their apps. 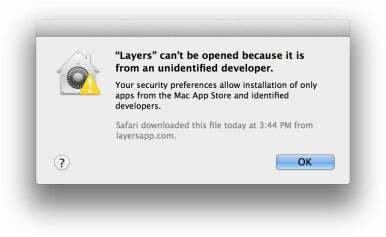 (Apple doesn’t do any sort of background check on the developer, and it doesn’t approve any of this software. All it means is that Apple knows who the developer who signed the app was—and that gives Apple the ability to revoke the developer’s license if they’re discovered to be a distributor of malware.) The act of cryptographically signing apps also prevents legitimate apps from being tampered with after the fact, since any modified apps will fail the check Mountain Lion performs. Most people will only run into Gatekeeper when downloading an app that hasn’t been updated with a developer signature. You can turn off Gatekeeper altogether, of course, but you can also choose to open unidentified apps manually: Just control-click on the app in the Finder and choose Open. Gatekeeper won’t stop you. If you control-click on an unsigned app and choose Open, Gatekeeper will make sure you know what you’re doing. It’s also important to note that, as the name implies, Gatekeeper is not a system that continually scans your Mac looking for malware. It works only the very first time you try to open an app, using the same system that warns you before you open just about any file that you downloaded from the Internet. Once you give that app entry through the gate and into your Mac, there’s no more security. Developers have known since February that Gatekeeper was coming; I’d wager that most Mac developers have acquired their certificates and signed their apps. And the ones that haven’t been signed will still run, once you’ve used your own judgment to decide whether you let them through the gate. It’s a sensible strategy that doesn’t leave developers whose apps can’t be in the Mac App Store out in the cold, and most users won’t notice a thing. Gatekeeper’s not the only security addition to Mountain Lion. The Security & Privacy preference pane’s Privacy tab is now more granular. In addition to control over location-based data (introduced in Lion) and the sending of diagnostic information to Apple, you can also control access to Contacts, Twitter, and Facebook. Flickr integration from Preview’s new Share button. In an attempt to reduce the amount of steps required to share stuff on your Mac with others, Apple has added a sharing button to most of its apps and provided access to the same sharing functionality for third-party app developers. When you click on the (familiar to iOS users) share button in an app, you’ll see a pop-up menu listing several ways to share the item you’re working with. 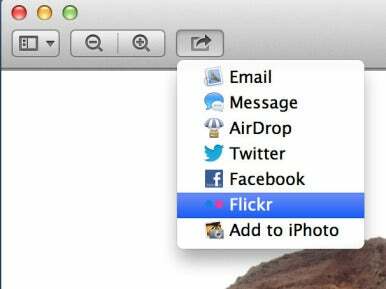 You can quickly share web pages with Twitter using Safari’s Share button. Preview’s new menu offers numerous ways to share. You can add your Twitter and Facebook account information in the Mail, Contacts & Calendars system preference. Once that’s done, it becomes easy to quickly share items from just about anywhere via the Share menu or the buttons at the top of the Notification Center list. I was able to post an image to Twitter and Facebook from within Preview, as well as send it to Flickr. I could even transfer it to a nearby Mac via Apple’s AirDrop file-transfer feature, all without leaving my Preview window. You can even choose whether to make your Facebook posts public, just to your friends, or to a limited list of friends. All the data from my Facebook friends will sync into my Contacts list after Mountain Lion is updated to support Facebook this fall. Twitter and Facebook integration goes beyond that, though. Mountain Lion can sync with your Facebook contacts list, so that all your Facebook friends appear in Contacts. 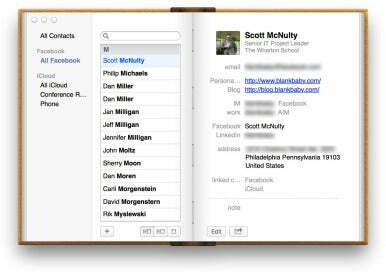 If the denizens of your Contacts list are also your Facebook friends, Mountain Lion will do its best to avoid making duplicate entries. (A few of my friends were duplicated when I tried this, but merging them back into one record wasn’t too hard using the Merge Selected Cards command in Contacts.) Mountain Lion can also optionally update the pictures attached to each of your contacts based on those contacts’ public Facebook profile, even if they’re not a Facebook friend, and can do likewise with Twitter avatars. Mountain Lion dictation can be used just about anywhere there is a blinking cursor. If you can enter text there, you can dictate text into it—no app updates required. 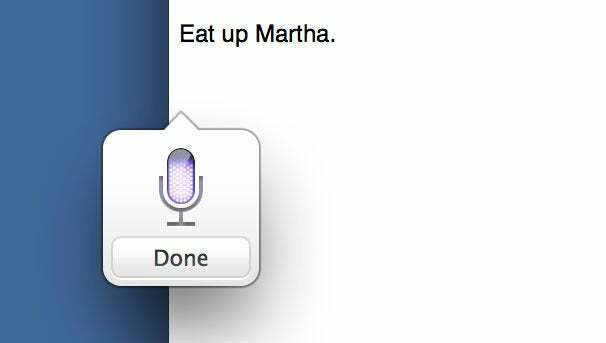 By default, you kick off a dictation session by tapping the Function key twice, although you can customize this to a different keyboard shortcut in the Dictation and Speech (formerly Speech) preference pane. Then you just say what you want to say, and once you’re done, your utterances will be rendered (usually quite accurately) as text. It’s a great addition. Of course, there are better speech-to-text options available commercially—Nuance offers Dragon Express for $50 and Dragon Dictate for $200. Those programs work on your Mac without an Internet connection and offer voice-training and customizability that Mountain Lion’s dictation feature can’t match. But not everyone who might use Dictation needs that level of customizability. I’ve never managed to use most dictation products for very long, but I find that I use iOS dictation every now and then when I need it. I look forward to being able to do the same on my Mac with Mountain Lion. Power Nap is enabled within the Energy Saver preference pane. When a Mac is asleep, it’s basically dead to the world. When an iOS device is asleep, it’s still doing stuff—checking your mail, making alert sounds, and even backing up. It means you can flip open an iPad and your Inbox is already current, for example. 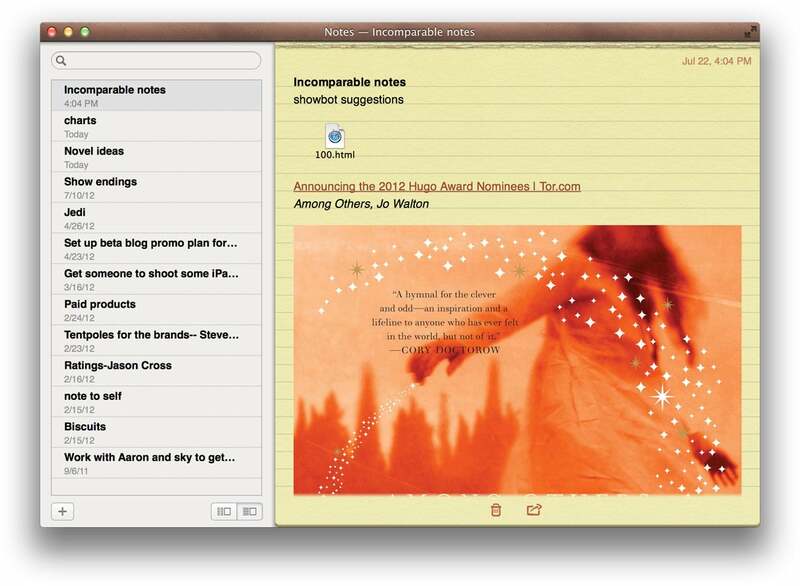 With Mountain Lion, Apple is introducing a version of this iOS feature to the Mac. It’s called Power Nap, and it’s a somnambulant state that’s neither asleep or awake as we currently understand them. First, the restrictions: While I’d wager that most future Macs will support Power Nap, right now it’s only supported by a handful of systems. On day one of Mountain Lion, you’ll only be able to take advantage of Power Nap if you’ve got a Mid-2011 or 2012 vintage MacBook Air or the new MacBook Pro with Retina Display. To turn Power Nap on and off, you use the new Enable Power Nap setting in the Energy Saver control panel. By default, Power Nap is turned on when your laptop is connected to a power adapter and turned off when on battery, but you can choose to turn it off completely or turn it on for both. Power Nap works by periodically waking up a MacBook even when it’s closed, but it’s not the usual wake-up. Fans don’t spin and the screen doesn’t come on. And since Power Nap only works on systems that use flash storage instead of spinning hard drives, disk access is silent too. From the outside, you’d never know that it was awake. When in this dark-wake state, your MacBook will (once an hour, if you’re connected to a power adapter or have more than 30 percent of battery remaining) check your mail, sync your contacts, update your calendars, sync reminders and notes, make sure Documents in the Cloud are synced, and update Photo Stream. If you’ve got the Find My Mac feature turned on, it’ll also phone home with its current location just like an iOS device would. A few Power Nap features are a bit more intense, and will only work if the MacBook is plugged in to a power adapter. If you’ve ever groused about leaving your laptop open in order for Time Machine to run, Power Nap will let you finally just close it and forget it. Now those Time Machine backups will keep on running when the computer is “asleep.” If you’ve set your laptop to automatically download software updates in the background, those downloads will also happen during sleep, so they’re ready to be applied when you wake it back up. I have to admit, it never really occurred to me that my Mac could be doing a lot more when it’s sleeping. But I certainly don’t expect my iPhone or iPad to be dead to the world when they’re asleep, so why not ask my Mac to keep on working too? I’m especially excited about my MacBook Air finally being backed up regularly, since it’s rarely awake long enough when I’m at home to do a full Time Machine backup over my network. The next step here, of course, would be for Apple to allow certain third-party apps to have access to Power Nap. Users of online backup services, for example, would love it if their MacBooks would do all of that work in the dead of night. But Apple likely will be judicious in this area—nobody wants to wake up in the morning and discover that their laptop’s hot and its battery hasn’t recharged. There aren’t that many different ways to say, “Here’s a feature that you’ve seen on iOS that’s also now on the Mac.” But here we are again: AirPlay mirroring, a feature introduced in iOS 5, has arrived on the Mac. For a while now, Macs have been able to play back iTunes audio and video to Apple TVs (and audio to AirPort Expresses), but in Mountain Lion, you can mirror the contents of your Mac’s display on any video device connected to an Apple TV (so long as it’s the the small black version). If you’re in a Mac-centric office, equipping every conference room with an Apple TV seems like a no-brainer. And I found myself using this feature all the time at home. The other day I found a funny Internet video show that I wanted to watch with my wife while we ate lunch. It was on a Flash-only website, so there was no way for me to play it on my Apple TV or on an iPad, but it played just fine on my Mac. So I turned on AirPlay Mirroring, pressed play, put the video into full-screen mode, and we sat back and watched as the video (and its accompanying audio, of course) streamed without a hitch. There’s one other nice AirPlay addition in Mountain Lion: Now all of the AirPlay devices your Mac can see appear as options in the Output tab of the Sound preference pane. If you want to channel all your system audio through an AppleTV or AirPort Express nearby, all you have to do is switch to that device in the Output tab. It’s simple and works exactly as you’d expect. 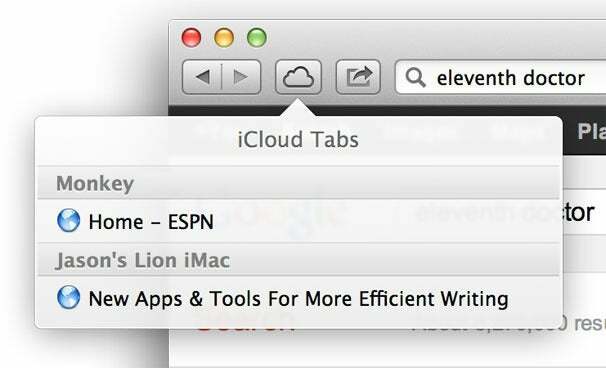 Safari’s new integrated search bar and iCloud Tabs. When Apple first announced Mountain Lion in February, it didn’t make a big deal about changes to its Safari Web browser. 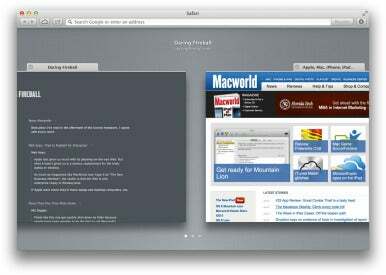 But now Safari makes Apple’s list of the major changes in Mountain Lion. And quite right, too—there are numerous nice additions in Safari that make it a much better browser. The biggest addition to Safari has been done by subtraction: The search box next to the address bar has vanished. Instead, as in the style of Google’s Chrome browser, the address bar is also your search field. If you know an address, you can type it there, but if you don’t, you can just enter in search terms and Safari will perform a search using your preferred search engine. 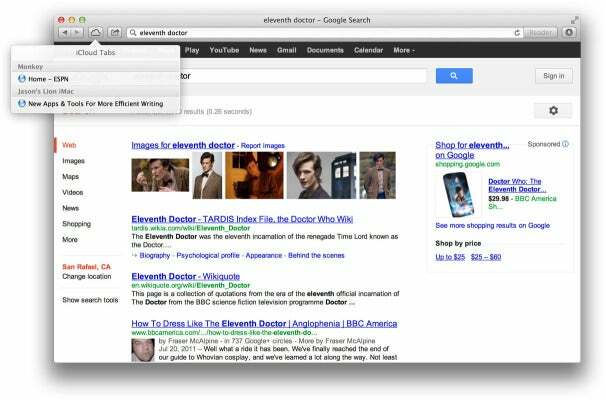 Now if you type “eleventh doctor” into that box, you’ll get a bunch of links about Matt Smith instead of an error message telling you that Safari can’t find the website “http://eleventh%20doctor/.” Much more useful, right? As you type, Safari will also make suggestions, including search terms and pages from bookmarks and other pages you’ve visited, including a Top Hit area with the most likely pages you’re looking for based on your previous browser history. 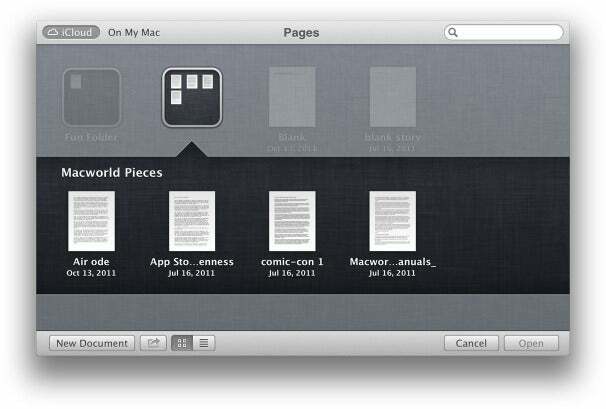 iCloud Tabs show open pages on your other devices. Another new Safari feature that I like a lot is iCloud Tabs, an icon on the Safari toolbar that displays a list of all the webpages you’ve got loaded across all your devices. This feature is mildly useful today for people with multiple Macs, but it will become much more useful with the release of iOS 6 this fall. At that point, you’ll be able to start reading on your Mac and then pick up right where you left off on your iPad. The new Tab View feature certainly looks good: If you’ve got more than one tab open in Safari, and pinch on your trackpad, Safari zooms out until you see the current page on a gray background. Now you can swipe left or right and view the contents of all the other tabs. It’s a pretty, visual way to see all your currently open tabs, and it makes a great demo. That said, I don’t see how I’d ever use it. Clicking on tabs works great. If I want to see a page in Safari, I click on the tab. Pinching, then swiping, then clicking? It doesn’t seem efficient, but I admit that sometimes efficiency is boring. Safari’s new Tab View is pretty, but is it useful? There are several more additions to Safari, too—it’s a solid upgrade. As I mentioned earlier, the new Share menu appears in the Safari toolbar. The Safari Reader button has gotten large and now sits just to the right of the address bar, turning blue when a page is eligible for Reader. The Reading List feature now offers an offline mode, so you can save articles to read later even if you’re not connected to the Internet later. I spend an insane amount of time in Safari, and in general this update is a good one. However, Apple has changed the Safari interface so that it feels like pages load more slowly than they used to. I don’t think they actually load slower, but the blue progress bar creeps across the URL window more slowly, and the status bar at the bottom of the screen no longer points out that it’s looking up domains and loading various web-page elements. Most of the time, it’s not a big deal. But when I’m faced with a slow-loading webpage, it’s a little frustrating—there’s no indication about what’s happening, so I just have to wait and hope that Safari loads the page eventually. Maybe most Safari users won’t care, but I found it disconcerting. I’ve got a love-hate relationship with OS X’s Mail app. Well, that’s not entirely accurate. It’s more of a tolerate-hate relationship. During the Snow Leopard era, I got so fed up with it that I switched to Gmail, but the improvements to Mail in Lion lured me back. Mail hasn’t received a major upgrade in Mountain Lion, but its support for Notification Center has led to the addition of one big feature: VIPs. To mark someone as a VIP, just open a message they’ve sent you and move the cursor over their name. Just to the left, you’ll see the faint outline of a star. Click it and it will darken slightly. That’s it. That Person is now Very Important. Little stars show up next to their messages in your mailbox. That’s how important they are. Simply limiting notifications to people in your Contacts list would have been a pretty good feature, but this is better. It’s an easy way to mark your most important people and make sure you know when they email you. I set Mail to notify me only when I get VIP messages, and after a few days of granting little gray stars to people, the system really started to work well. There’s even a VIPs filter in the toolbar, so I can quickly see just mail from all my VIPs or even one particular person. This fall, with the release of iOS 6, this feature will also appear on iPhones and iPads—and presumably your VIPs will sync across your devices, which will be even more useful. Now even when I’ve got Mail in the background, I get a subtle reminder that someone important has sent me a message. Given the volume of mail I get in a day, and my tendency to forget to check it, that’s invaluable. This is not to say that I don’t still have issues with Mail. I find its search functionality occasionally brilliant and occasionally useless, and I can’t figure out why. It sometimes takes forever to check for new mail, especially over slow connections. But though it undoubtedly marks me as an old-school email user, I still prefer using an app to reading my mail in a web browser. Mail suffices, and with Mountain Lion, it just got a bit better. 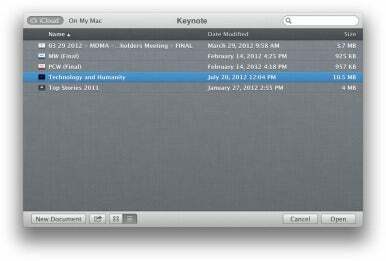 On the text-input side, Mountain Lion offers better suggestions and corrections via a dynamically updated dictionary. Apparently English words are often inserted in Chinese text, so Mountain Lion allows the mixing of Pinyin and English without switching between keyboard layouts. Apple says Mountain Lion also doubles the number of characters recognized by trackpad-based handwriting recognition. The biggest story in the release of Mountain Lion isn’t a particular feature. It’s Apple’s new dedication to a yearly release cycle for OS X, and more important, to a cycle that’s synchronized with the release of iOS. Last year’s OS X Lion—and Mountain Lion to a somewhat lesser extent—offer numerous feature additions that were brought back to the Mac from iOS. But Mountain Lion also offers some features that will be coming to iOS 6 this fall. Apple’s new operating-system strategy is not to copy iOS to the Mac, as some cynics might have said at the time Lion was announced. Rather, Apple’s strategy is to roll features out across all its devices, on both operating system platforms, simultaneously—or at least as close to simultaneity as possible for a company that has two separate operating systems to update every year. It seems to me that, in large part, Apple is no longer as focused on Mac features or iPhone features or iPad features as it is on features, manifested in appropriate ways across all of its different products. There will always be features that are tuned for the very different interactions that users have with their iPhones than with their MacBooks, but most of the basic ideas will span devices and operating systems, and most of them will sync together using iCloud. To those who would argue that these features water down the Mac, making it a simpler device more akin to an iPad with a keyboard rather than the heavy-duty device it’s often used as, I’d point to a feature like Power Nap. Allowing your MacBook Air to back up wirelessly while it’s closed and leaning against your nightstand doesn’t seem like a regression; that seems like a manifestation of the always-on iOS philosophy, but translated into a quintessentially Mac-focused feature. Yes, some of the features Apple has introduced in Lion and Mountain Lion are specifically designed for new and novice users, and that’s appropriate given how many of those users there are. But features like Launchpad and Gatekeeper and Documents in the Cloud are easily ignored or overridden by expert users; on the Mac, Apple seems to have chosen a path that makes the out-of-the-box Mac experience better for new users without wrecking things for the experts. Traditionally at the end of an operating-system review, you’d expect a discussion of whether the upgrade is really worth the money. But at $20 (and that’s a one-time purchase that can be used on every Mac you own), the money isn’t the issue. Do you have an iPhone or iPad that you’re going to be upgrading to iOS 6 this fall? Or are you going to buy Apple’s next iPhone when it comes out? Do you want to have access to the latest features Apple is rolling out across its entire product line? If so, your answer is a definitive yes. Mountain Lion is the next step after Lion. It’s Apple’s current state of the art. If you’re running Lion (or even if you’re a holdout running Snow Leopard), I recommend hopping on board. 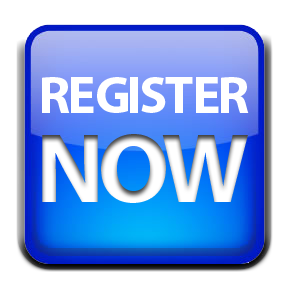 legal representative regarding precisely how you designed it? In case you have e-mail me! Thank you, We’ve been hunting for info on this material for a long time and yours is best I’ve located so far. author.Most surely i’ll make sure to bookmark your website and might keep coming back sooner or later. I wish to encourage you continue your great job, have a nice weekend!